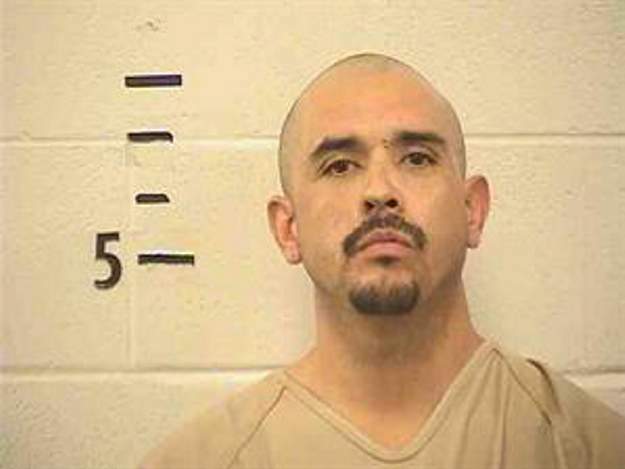 Ten days after Cortez resident Robert Marquez led Montezuma County Sheriff’s deputies on a 25-mile car chase in late November, the jail was locked down on suspicion that he was dealing meth behind bars. An anonymous call from a New Mexico area code about 10:24 p.m. on Dec. 8 tipped off MCSO staff that Marquez was possibly in possession of narcotics. The caller had knowledge of where the drugs were located. The officer in charge at Montezuma County Detention Center placed the jail on lockdown, and a patrol sergeant and two patrol deputies were called in for assistance. About 11 p.m., five officers entered the cellblock and ordered the inmates to lay on the floor. Two officers headed straight to Marquez’s cell and saw him grab something from his waist and place his hand into the toilet, according to an incident report. The officers recovered toilet paper from the toilet, and a K9 unit indicated the presence of drugs in the cell. Inside the cell, officers found a chess piece from the board game in the common room that had a plug in its bottom that could be used to move narcotics. Pieces of cut-up bags were inside. Officers took into evidence the toilet paper with possible meth inside, two pieces of distribution paraphernalia and 0.17 grams of crystals found on the cell floor. Marquez is charged in Montezuma County Court with three felonies: conspiracy to distribute a schedule II controlled substance, introduction of contraband and tampering with physical evidence. He was already charged with four felonies and four habitual criminal sentence enhancers in relation to a car chase on Nov. 30, where Marquez reached 105 mph on Colorado Highway 184 between Dolores and Mancos. Sheriff Steve Nowlin said the recent case of contraband introduction is just one more reason why he plans on purchasing a full-body scanner. He said contraband introduction is the biggest problem at the detention center. “Let your imagine run wild with you about where people can secret things,” Nowlin said. He said he saw a scanner last year priced at $300,000, which he said is too expensive. He said a captain is going to the Jefferson County Sheriff’s Office in February to check out their scanner. It works like a full-body scanner at airports, he said. Every incoming inmate would be scanned. There have been at least two other recent cases of jail contraband. On Oct. 31, a search of Darrell Perez returned a black bag containing meth. On Dec. 20, a search of Zakri Sanchez returned three syringes in his hair bun, one of which contained Suboxone, a narcotic that treats opioid dependence.